DemoCurmudgeon: Jeb Bush's Trickle Down Plan Forces Cuts to Safety Net Programs. Jeb Bush's Trickle Down Plan Forces Cuts to Safety Net Programs. Republicans are back at it again, proposing massive tax cuts that will only result in massive revenue shortfalls. 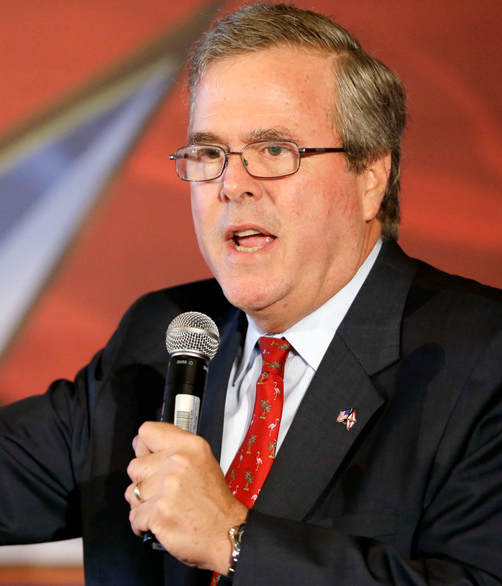 Now it's Jeb Bush's turn to offer up another crisis creating trickle down budget. That means cutting social safety net programs like Medicare, Social Security, Medicaid, food stamps, education, etc.. This is getting so old. 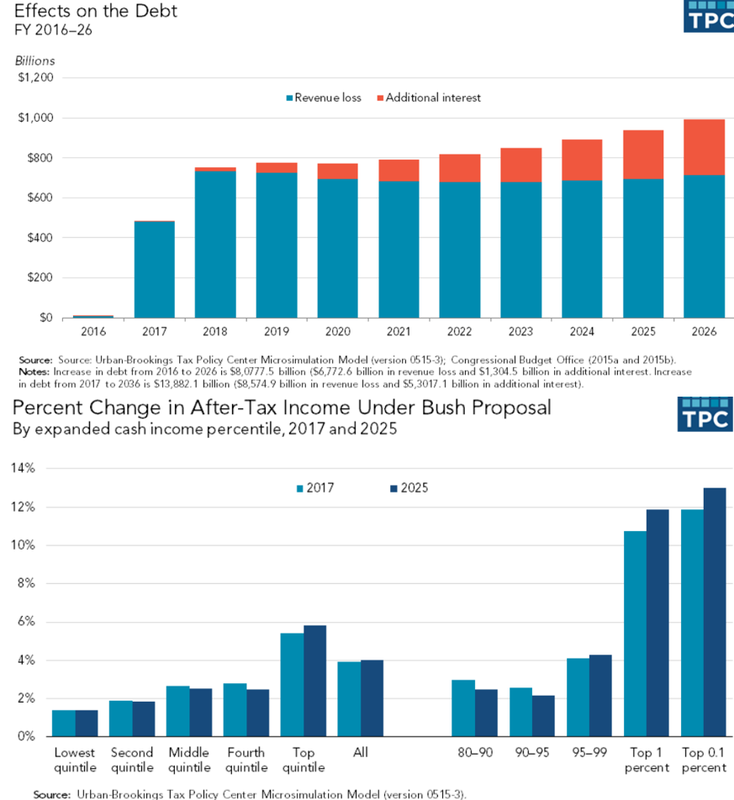 First, the Bush plan lowers tax rates on both individuals and businesses, on both earnings and investment income. It repeals the estate tax, and shifts to a territorial system for multi-national corporations (meaning they don’t have to pay U.S. taxes on foreign earnings). TPC estimates that the plan would lose $6.8 trillion in the first decade relative to the current tax code, and $8.6 trillion in the next decade; that’s 2.6 and 2.3 percent of expected GDP over these years. And because this is another iteration of trickle down economics, the trillion dollar budget losses will be offset magically with cuts to discretionary spending, which really isn't discretionary at all. If the deficit effect is as large as we estimate, government borrowing would push up interest rates and crowd out private investment, possibly offsetting some or all of the positive incentive effects. The campaign has said it intends to cut spending to offset any revenue loss from its tax cuts. Offsetting a deficit this large would require very large cuts in entitlement and discretionary spending. Tea Party Republicans take aim at Paul Ryan. Abandoned Rural Voters waiting for Democrats! Walker writes another JS opinion fairy tale. The Rise of Fascism in the U.S.! Trump compared to Hitler & Lord Voldemort!